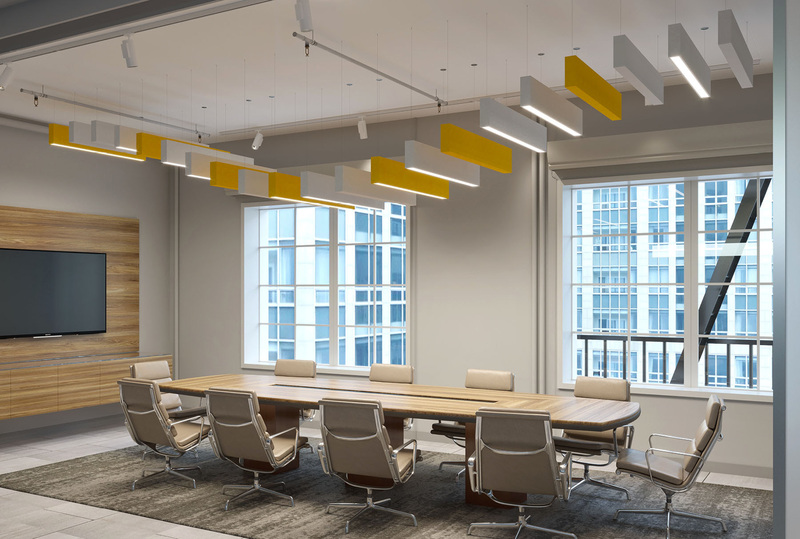 Arktura's newest system is an integrated acoustical baffle and lighting solution that provides great all-around performance in a single cost-effective, versatile product. Power is supplied through the suspension cables, simplifying install and removing the unsightly clutter of cords. 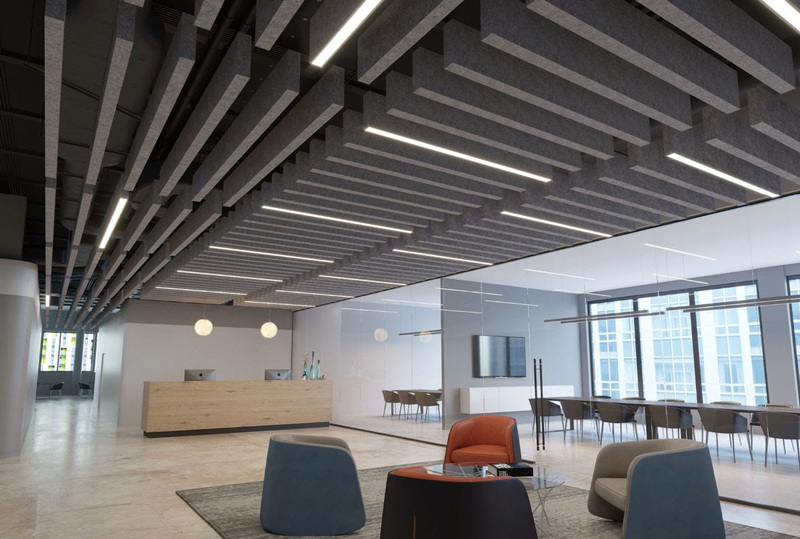 Because it's made from Arktura Soft Sound acoustical material, SoundBar is capable of achieving NRC ratings of up to 1.15. 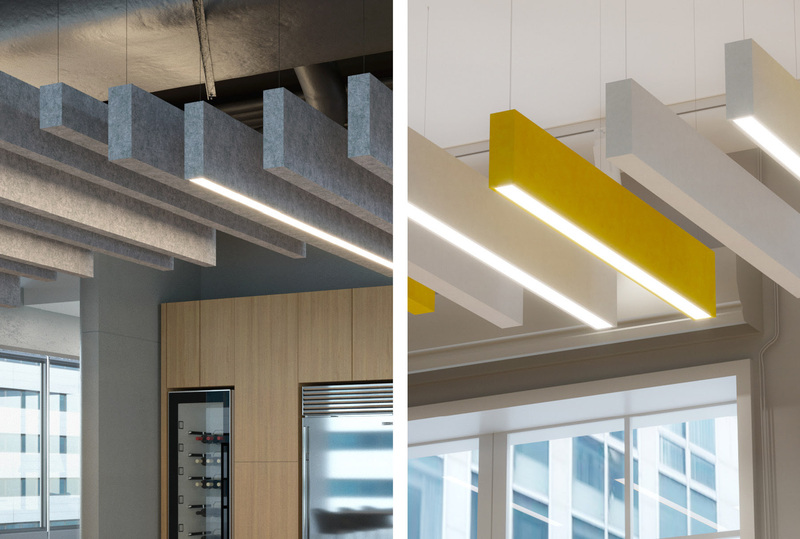 SoundBar is customizable from length, width, and depth, to Up, Down, or Duo lighting configurations. Available in a wide range of colors, including wood textures, they can easily be mixed and arranged as desired. 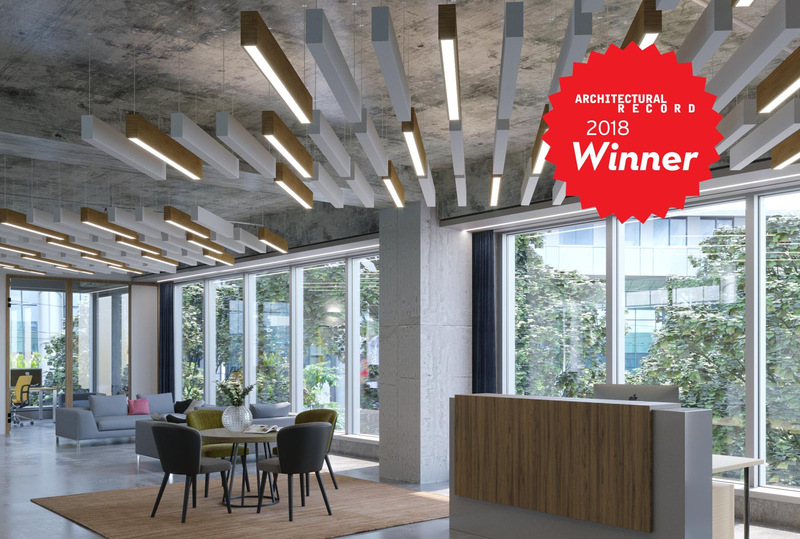 SoundBar was awarded the Best Surfacing Product of 2018 in Architectural Record's 2018 Record Product Awards! Loop Architectural Materials is your local representative of Arktura. If you have any questions, want a sample, or would like a presentation, do not hesitate to contact us.